Last week, some lucky Disneyland park guests got more than they bargained for when they set sail aboard the Pirates of the Caribbean attraction – which recently celebrated its 50th anniversary. As their boats floated through the pirate-pillaged village, they discovered that one of them – Captain Jack Sparrow – was actually the real-life star of Disney’s iconic “Pirates of the Caribbean” films, Johnny Depp! 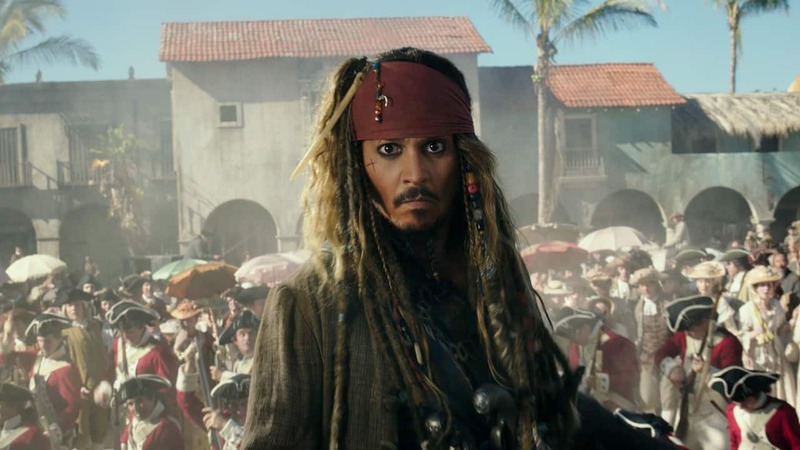 On May 26, Johnny Depp returns to the big screen as the iconic, swashbuckling anti-hero Captain Jack Sparrow in the all-new, “Pirates of the Caribbean: Dead Men Tell No Tales.” The epic tale finds a down-on-his-luck Captain Jack feeling the winds of ill-fortune blowing strongly his way when deadly ghost sailors, led by the terrifying Captain Salazar (Javier Bardem), escape from the Devil’s Triangle bent on killing every pirate at sea—notably Jack. Jack’s only hope of survival lies in the legendary Trident of Poseidon, but to find it he must forge an uneasy alliance with Carina Smyth (Kaya Scodelario), a brilliant and beautiful astronomer, and Henry (Brenton Thwaites), a headstrong young sailor in the Royal Navy. At the helm of the Dying Gull, his pitifully small and shabby ship, Captain Jack seeks not only to reverse his recent spate of ill fortune, but also to save his very life from the most formidable and malicious foe he has ever faced. Set sail with “Pirates of the Caribbean: Dead Men Tell No Tales” in 3D beginning May 26. And join the conversation with the hashtag #PiratesLife! I am never lucky enough to have something like this happen to me! I think the fans of Disney movies would love to see their characters in the parks. We were there and just slightly missed out. We went to get into line for Pirates and the line was closed in early afternoon, but the people already in line were still going through. We asked the cast member that was at the end of the line keeping anyone else from getting into line what was going on. She said they were having some technical difficulties but not so bad that they couldn’t let the people already in line to continue on the ride. She said that the line would be reopening shortly after the people in line had gone through and they could attend to the slight difficulties. We thought this was kind of strange, in all our years going to any and all of the parks we had never come across this situation before, but, Oh Well. We then decided to go on Jungle Cruise with the plan to come back to Pirates afterwards. After Jungle Cruise, we decided we were hungry and went to get something eat instead of going back to Pirates. Now we realize that the temporary difficulties was getting Johnny on set and we missed out by not going back to Pirates after Jungle Cruise as originally planned. Oops….that’s Can’t wait for new movie! 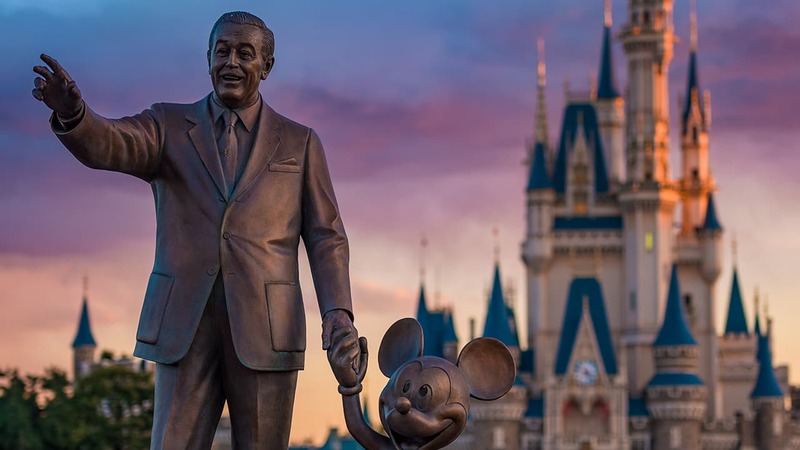 Wish he would show up @ Disneyworld during my visit! How lucky for Disneyland crowds! Can wait for new movie….love Johnny Depp as Capt. Jack. After watching this I am now curious if Johnny has done this at WDW. At the usual Pirate show across from the ride at WDW I could swear that he may have portrayed himself throughout the skit. This character look remarkably like him and had the exact same mannerisms or maybe it was just incredible make up. Last Saturday when I was at DCA I kept watching the preview over and over. From what was shown, it’s going to be the very best POTC film. So cool! Wish I had been there! Anything going on at Disneyland New Orlean Square during the time for the movie . I have checked out sneek peek movie at DCA ?